Teens and Adults are invited to a presentation with Jillian Celentano, followed by a Q&A. Jillian is a 58 year old transgender woman who transitioned 3 years ago. She is an advocate for the transgender community, speaks at various venues across New England, including support groups, medical centers and hospitals. She is a GSA instructor at a high school in New Haven CT, has organized a support group for transgender youth, and is a member of Stonewall Speakers. 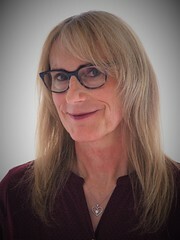 Jill has returned to college to obtain her Master's degree in psychology to become a counselor for primarily trans youth and adults. She is currently interning at the Yale Gender Program in New Haven, CT.